13th Annual Sport Compact Fall Nationals. 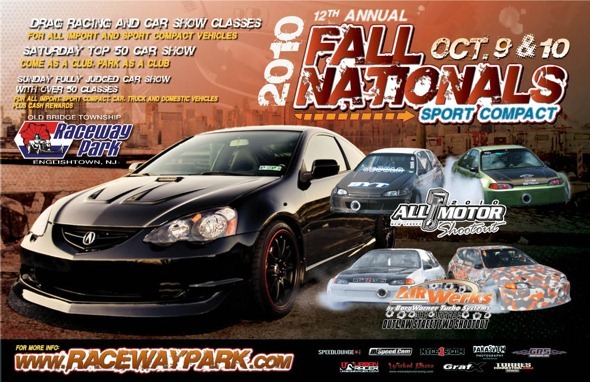 Sport compact fall national on October 9th. Stop by the VRaceWorks booth. Still plenty of racing to be done drop by raceway park eTown NJ and check out the fastest sport compacts around. You know where to find us. Black tent with the clean Hondas lined up deep. This entry was posted on October 4, 2010 by vraceworks. It was filed under Uncategorized .